Mindfulness is a form of meditation that encourages self-awareness by focusing attention on one's thoughts and sensations in a non-judgemental way. The practice is associated with various health benefits, and its popularity has grown enormously in recent years, due largely to endorsement from celebrities such as Oprah Winfrey and Deepak Chopra. Today, mindfulness meditation forms the basis of therapeutic interventions for a wide variety of physical and psychological ailments, from chronic pain and heart disease to anxiety, stress, and depression. But it may also have unintended negative consequences: according to new research published in the journal Psychological Science, it makes memories less reliable, so that practitioners are more likely to think they can remember something that in fact didn't happen. 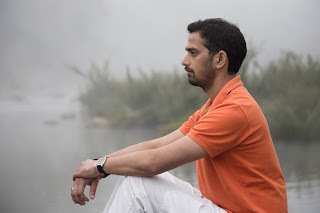 Brent Wilson of the University of California, San Diego and his colleagues hypothesised that mindfulness meditation may alter the mental processes that help us to distinguish between our inner mental world and the outer one, and they carried out three experiments to test this idea. In the first, they recruited 153 undergraduates and randomly assigned them to one of two groups. Those in one group listened to a 15-minute focused breathing exercise (a form of mindfulness meditation) recorded by an experienced Yogi, while the others acted as a control group and listened to a 15-minute mind-wandering exercise, recorded by the same person, which instructed them to think about whatever came to mind. Afterwards all the participants completed a well-established lab test that reveals people’s vulnerability to false memories – they were shown a list of 15 words, including some related to the word trash (but the word trash was itself not present), and then asked immediately afterwards to type as many of the 15 words as they could remember. The researchers found that participants in both groups recalled the same number of correct words on average, and also that there was mostly little difference between them in the number of falsely recalled words (i.e. remembering words that hadn’t actually appeared in the list). There was one exception, though. Those who had listened to the mindfulness exercise beforehand were significantly more likely to falsely remember seeing the word trash – that is, to experience a false memory for that word – than those who had done the mind-wandering exercise. Next, Wilson and his colleagues recruited 140 more participants, and asked each one to perform versions of the same false memory test, using six different word lists. They then randomly split the participants into two groups, giving one group mindfulness training, and the other group a mind-wandering exercise, before asking them to repeat the false memory test. This confirmed the results of the first experiment: after the training, participants in the mindfulness condition were significantly more likely to recall words they had not seen (i.e. to experience false memories), as compared with their performance before the training. By contrast, the mind-wandering exercise had no such effect. Finally, the researchers generated two hundred pairs of closely related words, such as foot and shoe. They showed one word from each pair to 215 more volunteers, then came the memory test: participants were shown one randomly selected word from each of the word pairs, and asked to report whether or not they had seen it earlier. All of the participants were then asked to listen to the 15-minute mindfulness exercise used previously, before repeating the false memory test. As in the second experiment, the participants were significantly more prone to false memories (thinking they’d seen words that they hadn’t) when they took the test after the training than before it. Many previous studies have examined the potential benefits of mindfulness meditation, but this is one of only a few to demonstrate potential adverse effects of the practice. The researchers explain their findings in terms of what psychologists call "source monitoring", the process by which we determine the origins of our memories, thoughts, and beliefs. Information from the outside world contains more sensory details than internally generated information, and it is these details that normally help us to discriminate between the two. The essence of mindfulness is to observe one's mental activity non-judgementally, and this, the researchers argue, may increase practitioners’ susceptibility to false memories by diminishing or eliminating those mental processes that would otherwise help them discriminate between internally generated information and information received via the sense organs. Post written by Mo Costandi (@Mocost) for the BPS Research Digest. Mo trained as a developmental neurobiologist and now works as a freelance writer specialising in neuroscience. He writes the Neurophilosophy blog, which is hosted by The Guardian, and is the author of 50 Human Brain Ideas You Really Need to Know, published by Quercus in 2013. His second book, Neuroplasticity, is due to be published by the MIT Press early next year.